We talked with Pam Lo from Danner about their Reckoning boots. 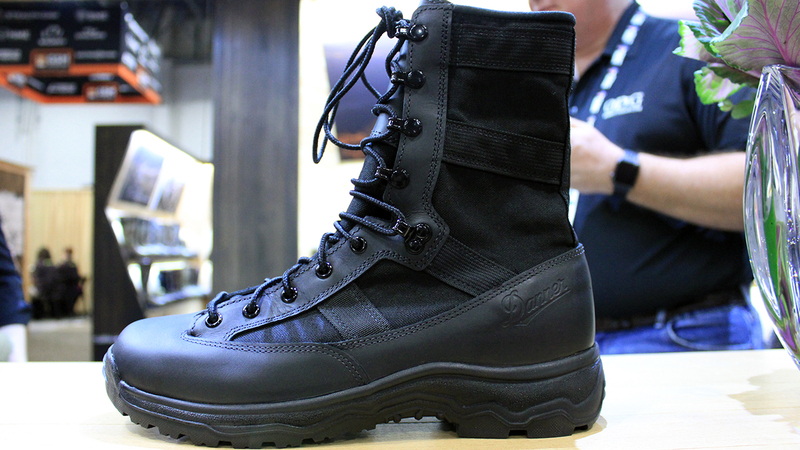 The polishable synthetic leather on the toe area meets uniform requirements. Double rivet speed lacer for secure heel lock with lace-to-toe upper design for adjustable fit. This streamlined, lightweight platform features both Vibram midsole and outsole material compounds that were calibrated for shock absorption and comfort. The rubber outsole was engineered for high mileage durability. 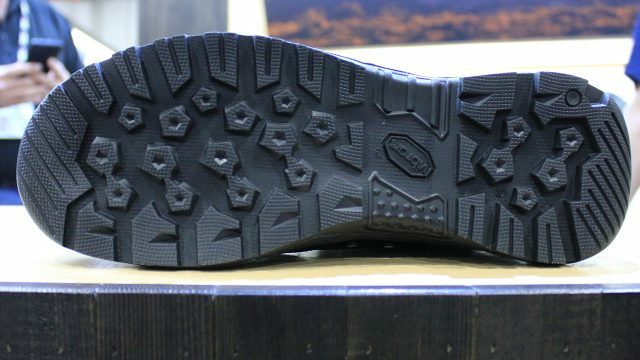 An omni-directional pentagonal outsole lug pattern gives superior traction from all different angles, double-bevel tread prevents debris from compacting in the outsole and the Arch Tech grip design provides traction and grip used for roping and climbing.